Thanks to Kenneth Hartung for being the first to tell me about this. Tori is one of the artists on a new compilation album called KMTT: Live From The Music Lounge Vol 11. This CD comes from radio station 103.7 The Mountain in Seattle, WA. The album includes Tori's Sleeps With Butterflies, which I assume she recorded live for The Music Lounge. 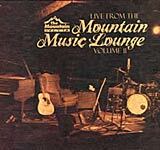 Live From The Mountain Music Lounge Volume 11 goes onsale October 25, 2005 at Western Washington Starbucks stores. Proceeds from the CD benefit The Wilderness Society's local conservation efforts in Washington State. Check out kmtt.com for more details. Here is the complete track listing for this compilation album, as well as the cover which you can see to the right.